… I stood there looking how they load the chairs on to the truck. I was thinking about the cycle of pain, about mourners that sat and will sit on those chairs. What kind of memory those chairs have? If they could speak, how many stories of pain and tears could they tell? Lung cancer took away the last breath of my mother. She was 83 years old. My niece died at age 40 from throat cancer. She left behind young kids not to mention the pain of parents that had to bury a child. Another close relative went through breast cancer and thank G-d she is well now and is a changed person. I have a close friend who used to be a pediatric oncologist until she had her own children. It was too painful for her to see children suffering and dying. She is now specializing in a different medical field. I went to Israel to sit Shiva for my mother and on the last day of the Shiva we heard about the death of a 13 years old girl. She died from bone cancer. A day after her bat mitzvah she felt pain in her leg and the doctor diagnosed the cancer. A year later she was gone. There are support organizations in Israel that provide chairs and tables for families sitting Shiva and for the many people that come to condole. When we rose from the sitting a truck came to take the chairs and tables directly from my mother’s home to this girl’s family. I stood there looking how they load the chairs on to the truck. I was thinking about the cycle of pain, about mourners that sat and will sit on those chairs. What kind of memory those chairs have? If they could speak, how many stories of pain and tears could they tell? Death will be swallowed forever and G-d will wipe tears from all faces. Until that time we must accept the process. We are living under the shadow of the tree of knowledge good and bad. It is the reality of work and rest, joy and pain, smiles and tears, life and death. This is the world of time. Illusionary but controlling. Now we are back to the parasha of Metzora and the secret of cancer. The story of Metzora begins in the previous parasha, Tazria. In Tazria only the first eight verses talk about the seed and birth of a child. A woman becomes impure immediately upon delivery. She needs to go to the priest with offering to cleanse her. Why is that? If she delivers a pure infant, why does she need to be cleansed, what is wrong with that? The simple answer is that when a child comes to this world it involves the negative side. The Zohar explains that when a woman starts screaming with contractions, G-d sends the snake to open the womb. G-d brings in the soul. The primordial snake made Eve and Adam sin. They brought mortality to their life and to the world. The Snake caused “the process” (mortal life and time) by disconnecting Adam and Eve from the Tree of Life. He is now in need to open the physical gate so the soul and body can join the process. The material, the physical body, belongs to the snake and when we die, the body goes to the ground and the spirit ascends. There is a separation between soul and body or light and vessel. Please remember or underline this point. Body and soul are two separate elements. They are joined together by the power of Kabbalah (=137= the fine structure constant. See http://www.137.com/137/ on this special number). This constant is used to calculate the movement of particles inside the atom. It is like the soul of the matter. You are invited to go deeper into nuclear physics to discover the Light of the Creator. Discover G-d. Some of you may want to read some answers about cancer by now. I promise to answer all the questions the way the Light guides me to. It is important to learn about the seed before you plant it. If you want to have an apple tree in your garden, you won’t pick just any seed and expect it to grow apples. You will make sure that the seed is of an apple tree. You don’t want to wait months to find out that you have a spruce tree growing. It may be nice but not what you were expecting. Then G-d formed man of the dust of the ground, and breathed into his nostrils the breath of life. The disease described in Metzora is called Tzara’at, “צָּרַעַת”. This word is usually translated to Leprosy. One interesting point to discuss is that the Torah uses the same term for a house. Lev.14:34 “When you come into the land of Canaan, which I give to you for a possession, and I put the plague of leprosy in a house of the land of your possession”. I found many bible translations that use the word Mildew as a translation to Tzara’at. This is bad translation. To get to the deeper meaning of the word, we take apart its elements and examine carefully. The key is in the word “צָּרַעַת”. It is built from “צָּרַ” (=enemy) and “עַת” (=time or period of time). From this we understand that this disease relates to an enemy that is created in time. When we look at another permutation of the name we see “רַע” and “צַָּת”. “רַע” translates to “bad” and also is abbreviation for “selfish desire” (Ratzon Atzmi). “צַָּת” has numerical value of 490, which is equal to 10 times “חולה” (sick) (=49). When we find 10 times of a word value, we know that it goes to the whole spiritual depth of its meaning. Words are at the level of Malchut (world of action).They are the manifestation of thoughts (spiritual). For example the word “טל” (Dew) =39 and the 390 = “שמים” (skies, heavens). The origin of dew is from the skies. There are ten heavens, the seventh touches the eights (spiritual). When someone say s “I am in seventh heaven”, they mean “uplifted” and their psyche is free of limits. The other important word mentioned in the parasha is “נֶגַע”, (=plague). It is the same root word as “touch”. The first two words are “נֶגַ” =53 and the third is “ע” = 70. The 53 is for the number of portions in the Torah and it is also the numerical value for the word “גנ”, which means gene. Also it is the abbreviation for “גלגול־נשמות” (literally means rolling of souls to describe reincarnation of souls). Our genes carry the history of previous lives. We find physical similarities between parents and children because of “the rolling of the souls” that come through the parents. The kabalistic term is “reshimu”. The meaning of it is like putting water in a wood barrel that was used to have wine. When you drink the water you can still taste the wine that used to be there. This is the “Reshimu” of the wine. Whiskey producers store it in used wine barrels of to give a deeper taste to their whiskey. The above examples relate to material things but it is similar with the souls. During the year and in every Shabbat, we read from the Torah. The Torah scroll is rolled forward each Shabbat to advance to the end of the book. BUT there is no actual end to the Torah because at the same day (not Shabbat) that we read the “end” of the scroll we immediately connect it to the beginning. The Torah is rolled back from the “end” to the beginning to continue the reading. I will continue with the exploration of cancer, causes, immune and the ultimate cure in coming articles. Lag BaOmer – Hillulah of Rabbi Shimon Bar Yochai. Rabbi Shimon and his friends were ten special souls that had the ability to connect the spiritual to the physical. The Zohar is written in codes and concealment to cover its high energy in order to protect the people that deal and study from it. 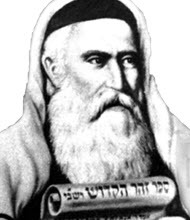 The Ramak, Rabbi Moshe Kordovero, in his commentary to the Zohar said that after the destruction of the Second Temple, The Holy One, Blessed be He, sent a holy angel, the souls of Rabbi Shimon and his friends to create support to the Shechinah by their writings of The Zohar. Any one that connects to the Zohar read and studies from it, even without understanding reveals the Light the Zohar is dealing with. The Zohar is written by Rabbi Shimon as a tool us, for the last generations before the coming of Mashiach to reveal the Light and help bring the final redemption. The Zohar in the commentary to parashat Naso, quoting Raaya Meheimnah (in Aramaic the Faithful Sheppard, which is Moshe Rabeinu) that by the Merit of the Zohar Yisrael will come out of exile. What is the support of the Shechinah? Why Rabbi Shimon needed to do that? How the Zohar support that? Before my explanation please remember the commandment of You shall not make for yourself an idol or Image to worship, which means that we should not imagine G-d in any way physical. Images of G-d create limitation that can not apply to the G-d. IN the process of creating the world, as the Ari Hakadosh explains in the Tree of Life writings, the Light of the creator created a space to create the physical existence for us and removed himself from it. There was a separation of Light and vessel. Before creation the Light and the Vessel were one. The Shechinah is the female aspect of the Light that is close to us (spiritually) and gives us the ability to connect to the supernal Light. To understand this spiritual system I use the example of electrical circuit. A circuit has ground, consumers (components like a light bulb etc…) and a power source. When a desire to connect aroused (turn on the switch), the power source (Power of electricity) provide the electromagnetic wave of photons (light units) at the speed of light. The Shechinah is like the ground part of the circuit, without it nothing could happen, no flow of Light. We are the consumers and without the Light force, we are nothing but darkness (death). The light force is always there waiting for us the desire it and connect. The Light provides its energy without questioning the consumer why they want it. After the destruction of the second Temple, we lost the \’main power outlet to the world\’ (the Holy Temple) and the operator (Kohen) can not use it to draw the Light for us. (See my commentary to parashat Emor on the work of the Kohen). G-d gave us Rabbi Shimon to create alternative system to sustain the world and to allow flow of Light. Rabbi Shimon and his friends were ten special souls that had the ability to connect the spiritual to the physical. The Zohar is written in codes and concealment to cover its high energy in order to protect the people that deal and study from it. The most important work is Tikunei HaZohar, which is 70 ways to look at the first word of the Torah, Bereshit "בראשית". Tikkun means correction and those 70 corrections establish a connection between the Light and the vessel through the 7 sefirot (with ten levels in each of them). In other words, The Holy One and the Shechinah can connect without the Holy Temple. With the Zohar tool we can connect and create the unification of upper and lower to draw the light. Now about the 33rd day of the Omer. Rabbi Shimon had the power to control reality and death could not touch him. The Angel of death complaint to G-d that Rabbi Shimon doesn\’t let him do his work. There is a story in the Zohar that shows how Rabbi Shimon stop the angel of Death from taking the soul of Rabbi Yitzchak, one of his students and promise to bring his soul when he himself leave the world. Rabbi Shimon chose the 33 day of the Omer to leave the world because it was at the level of sefirat Hod of Hod. There are seven weeks in the counting and each week represents a different Sefira, beginning with Chessed to Malchut. The sefira of Hod represent the completing of the vessel. After Hod comes Yesod, which is the funnel to the Light to the last Sefira of Malchut. At the Level of Hod of Hod the vessel is complete and the opening the sefirah of Yesod (to channel the Light) is formed. The counting of the Omer is completed a day before the Holiday of Shavuot, when the Torah is given to us. The counting process builds our vessel to receive the Light of Torah in Shavout. On the 33rd day, the Ari explains judgments stops and the light of mercy reveals and begins to flow. That is why the plague that killed 24000 of Rabbi Akiva\’s students stopped on that day. When a tzaddik leaves the world his energy and all his revelation of light remains in this world. Rabbi Shimon selected this day so we can have the support of his work, the Zohar and draw its light to our life. In the Zohar, Idra Zuta is a description of the last teaching of Rabbi Shimon and how he left the world. B"H and by the Merit of Rabbi Shimon and the Zohar, we will see the Final Redemption today. Amen. Author Zion NefeshPosted on April 20, 2009 Categories UncategorizedTags TorahLeave a comment on Lag BaOmer – Hillulah of Rabbi Shimon Bar Yochai. Un texte spécial pour le septième jour de Pesach. Cette lecture provient d\’une partie de Beshalach qui décrit l\’ouverture de la Mer Rouge. Le verset indique en premier que la mer devint sèche et ensuite que l\’eau se divisa. Ceci nous apprend que le résultat est déterminé par la pensée originelle. Les forces spirituelles sont à notre service du moment où nous créons le désir et que nous l\’exprimons. Lorsque Moïse étendit sa main au dessus de la mer, il projeta ce qui allait se passer et ce qui s\’est passé en fait. La Torah ne se trompe pas. Au niveau spirituel, la terre était sèche avant que les eaux ne se divisent. En exprimant nos désirs, la lumière vient les satisfaire. Il nous faut simplement faire la bonne action pour les manifester. Nachshon a du sauter dans l\’eau afin que la mer se divise. La méditation de ce verset nous ouvre à la conscience d\’être un avec la lumière et nous attirons la lumière de la guérison. Ainsi que le verset le montre, soyez tout d\’abord dans la lumière et suivez le système spirituel et vous n\’aurez pas à souffrir des maladies qui viendront du côté sombre. There is a special Torah reading for the seventh day of Pesach. This reading is from the portion of Beshalach. It describes the event of the splitting of the red sea. The verse states that first, the sea became dry land and then the water split. We learn from this, that the result is determined by the original thought. The spiritual forces are ready for us from the moment we create the desire and express it. When Moses stretched his hand over the sea, he projected what would happen and it indeed happened. The Torah does not make mistakes. On the spiritual level the land was dry before the actual splitting. When we express our desires the Light is there to provide us fulfillment. All we need is the right action to manifest it. Nachshon had to jump into the water to make the sea split. The first letters of the last 4 words are spelled as "אריך". It is the root word for healing "ארוכה" and also refers to Arich Anpin, which is related to the Sefirah of Keter. Arich is where all healing comes from. It is the point of infinite peace and light. Meditation on this verse would inject the consciousness of being one with the light and draw the light of healing. As the verse says, first be with the light and follow the spiritual system, then you won\’t have to suffer the diseases that come from the negative side. Rosh Hashanah – You have an invitation to appear in court. No matter if you are going to be in a synagogue or not, you will appear in front of the judge. You and all that exist. Your physical appearance is not required. Your soul will be there whether you want it to be or not. So you ask, should I go to pray or not? What difference does it make? How can you talk to the judge and ask for leniency or cancelation of sins (as they call your negative actions)? Since you cannot speak for yourself, what is the best tool to connect and affect the judgment? The simple answer is the Shofar. All the other prayers are preparation for this process and that is why the Shofar is blown at the very high points in the prayers of Rosh Hashanah. I will take you to the time you were born for a moment. I mean day one in life. What was the first sound leaving the womb? It was either a scream, or a cry or some kind of expression of pain. The soul fought not to go out to the physical and limited world. All babies all over the world have a similar expression. As they grow up, it becomes more organized into a language. The basic sound is a connection to the Light. Music, tones of expressions are easily understood through different races (even with animals you can hear the fear, the pain or the joy) and cultures. It is important to understand this because basic natural sound goes beyond our physical existence. A cry of a baby can touch our soul quickly and deeply and move us for action. That is the babies\’ tool to ask and receive help to better their condition. In Rosh Hashanah, we are judged by actions and desires driven by the left column. The master motivator of the left column to do negative actions is the one that prosecutes us in the upper court. To control him we use two ways. One is the reading of the torah on the first day about the birth/seed of the left column, the birth of Isaac. On the second day we read about the binding of Isaac, which gives us control over the left column. The other tool is the sound of the Shofar that is made from a ram\’s horn (again left column energy. Remember how we took the ram into our house before leaving Egypt… ) . With the sound of the Shofar (as the Zohar says) we confuse the prosecutor to the point that he cannot layout his case against us and the judgment for the coming year is positive and full of new opportunities to better our life in the physical and spiritual realm. Clean your ears like you never did. Listen to the Torah and the Shofar. Do not miss a sound. Your whole year depends on it. Author Zion NefeshPosted on April 20, 2009 April 20, 2009 Categories UncategorizedTags TorahLeave a comment on Rosh Hashanah – You have an invitation to appear in court. Shabbat Sukkot – To See and to Know G-d. There is a special reading for the Shabbat Chol Hamoed Sukkot. It is from parashat Ki Tissa. The story is that Moshe asks G-d to show him the way so he can find grace in his sight and connect to the nation. Moshe also tells G-d that if he does not reveal himself then the nation will not go up to the Land. It is strange because a verse prior to that (just before the beginning of this reading (Exodus 33:11) it says "וְדִבֶּר יְהוָה אֶל-מֹשֶׁה פָּנִים אֶל-פָּנִים, כַּאֲשֶׁר יְדַבֵּר אִישׁ אֶל-רֵעֵהוּ", "And G-d spoke unto Moses face to face, as a man speaks to his friend"
The Torah is the laws, our guidance and it has rules, judgments. This is the face of G-d Moshe was seeing. Moshe knows that it would be hard for the Yisraelites to come to the land only with the Torah so he asks G-d to reveal the side of Mercy, the thirteen attributes that can save them in time of judgment. The verse that begins with the thirteen attributes starts with the word "וַיַּעֲבֹר". This word is built from "עב" =72 and "ריו" =216. Together they are the numerical value of "חסד" and "גבורה". The sefirot that represents the right column and the left column. Putting them together creates balance. There is more to it but the importance is to understand that Moshe did a good job for us to draw that energy of mercy and balance. We used the thirteen attributes many times during the last weeks to cleanse and draw mercy to us during Rosh Hashanah and Yom Kippur. Sukkot is one of the three Holidays, "Regalim", that we need to attend and be seen in the Holy Temple. The Sukkah is the tool like the Holy Temple. It connects us to the light of Mercy and to the Holy Temple energy. Having a Sukkah is good but sleeping, eating and studying in it makes a greater connection to draw the light of mercy to us for the whole year. Author Zion NefeshPosted on April 20, 2009 April 20, 2009 Categories UncategorizedTags TorahLeave a comment on Shabbat Sukkot – To See and to Know G-d.
Yom HaKippurim -5 meals- all you can eat . We appeared in front of the judge on Rosh Hashanah and now ten days later we receive the judgment. This is our life force budget for the year. What is the quality of our life for the coming year going to be? Every physical manifestation begins with a thought or a spiritual event. In Yom Kippur we connect to the spiritual event to "download" the Light we were \’budgeted\’ for in the New Year. In order to draw this light we need to prepare our vessel (Spiritual) to receive it. The Torah tells us " בֶּעָשׂוֹר לַחֹדֶשׁ הַשְּׁבִיעִי הַזֶּה יוֹם הַכִּפֻּרִים הוּא, מִקְרָא-קֹדֶשׁ יִהְיֶה לָכֶם, וְעִנִּיתֶם, אֶת-נַפְשֹׁתֵיכֶם ". " On the tenth day of this seventh month is the Day of Atonement; there shall be a holy convocation unto you, and ye shall afflict your souls; "
The Hebrew word " וְעִנִּיתֶם "is translated as "Atonement" but the deeper intention is to make our soul poor " עני ". King David in Psalms says " תְּפִלָּה, לְעָנִי כִי-יַעֲטֹף " "a prayer for the poor". When a person comes as poor with his prayers then he is answered. The purpose of the five limitations we are required to accept on Yom Kippur help us become "poor" and have our vessel ready to receive the Light for the whole year. The five limitations are: Eating, Drinking, Washing, Wearing leather (especially shoes), using oil for the body. Eating and drinking, washing and use of body oil will activate the body in receiving physical feed and block the Light from coming in. The leather shoes connect us to the sin of Adam and Eve and the energy of death that was brought on them (us) by the snake. (Leather is made from a dead animal). The Holy Ari (Rabbi Isaac Luria) includes a couple\’s physical unification in the third limit (washing) and explains that on Yom Kippur Malchut is elevated to Binah to connect and draw the light to the physical. When a husband and wife connect on the lower level they create corruption in the supernal connection and the light goes to the negative in Yom Kippur. If a child comes out from this relation then his soul is from the negative side. The Ari also reveals the " ענוי " ( Atonement ) has the same numerical value as " צום " (fast) and " קול " (voice). Fasting and praying are the main connections we use on Yom Kippur. Yom Kippur should be a happy day. The five prayers connect us to the process of elevating Malchut to Keter (at the time of Ne\’ilah). We should not miss any of the connections. Imagine that the bank is open for twenty four hours and you are suppose to come and get your yearly budget. Try not to miss any of the 5 spiritual meals and eat all that you can. (Especially if you are a man). There is a difference between men\’s and women\’s connection but we\’ll talk on this in another time. Author Zion NefeshPosted on April 20, 2009 April 20, 2009 Categories UncategorizedTags TorahLeave a comment on Yom HaKippurim -5 meals- all you can eat . Author Zion NefeshPosted on April 14, 2009 Categories UncategorizedTags Torah, Torah CommentaryLeave a comment on Shabbat Sukkot – To See and to Know G-d. Author Zion NefeshPosted on April 14, 2009 Categories UncategorizedTags Torah, Torah CommentaryLeave a comment on Rosh Hashanah – You have an invitation to appear in court.